On March 15, in Chamber of Commerce of the USA, et al. v. U.S. Dep’t of Labor et al., the Fifth Circuit Court of Appeals vacated the U.S. Department of Labor’s (DOL) 2016 “fiduciary rule”, the controversial measure requiring brokers and other financial professionals to adopt a “best interest” standard for their clients under the Employee Retirement Income Security Act (ERISA) and Internal Revenue Code. The decision represents a major victory for industry participants who raised concerns that the rule had unintended collateral effects that would render investment and retirement services more costly and potentially inaccessible for certain individual investors. The Fifth Circuit’s decision further muddles the rule’s already uncertain future, while simultaneously providing an even greater impetus for the Securities and Exchange Commission to adopt its own rule, which is expected this summer. The court did not split hairs in ruling that the Department of Labor (DOL) exceeded its statutory authority in issuing the rule: “The DOL interpretation, in sum, attempts to rewrite the law that is the sole source of its authority. This it cannot do.” The Fifth Circuit’s Opinion, which reversed the decision of the Northern District of Texas, is here. In April 2016, the DOL announced the Fiduciary Rule, as it sought to redefine how brokers and registered investment advisers serve consumers with individual retirement accounts and ERISA plans. The DOL wanted to fulfill the Rule’s purpose by enlarging the scope of financial service providers that were subject to statutory duties and restrictions. By reinterpreting the term “investment advice fiduciary” within ERISA, the rule created a fiduciary duty for these financial professionals that requires them to act in the “best interest” of their clients. This “best interest” standard is a significant departure from the prior standard for brokers, which required them to recommend investments that were “suitable” for their clients. Effectively, the Rule eliminated the distinction between an investment advisor who is a fiduciary regulated by ERISA and a broker whose advice is incidental and whose compensation is not based on his or her advice. Financial service providers and salespeople of investment products—such as brokers and insurance agents who deal with IRAs, 401(k)s, and other tax-deferred plans—were “investment advice fiduciaries” under the Rule. And as such, they owed duties of loyalty and prudence to purchasers of investment products. Further, they were subject to statutory prohibited transaction provisions, which forbade them from engaging in transactions with clients in which they received a commission from a third party or compensation that varied based on their advice. In Chamber of Commerce, three separate industry groups brought legal challenges to the Fiduciary Rule. 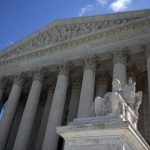 These actions, which were consolidated in the Northern District of Texas, raised a slew of legal issues but principally concerned whether the rule’s new definition of an investment advice fiduciary comports with ERISA, or — to the extent ERISA’s definition of “fiduciary” is ambiguous — is a “reasonable” interpretation under the Supreme Court’s decision in Chevron U.S.A. v. NRDC. On appeal, a divided panel of the Fifth Circuit held that the expansion of the statutory term “fiduciary” was not authorized under ERISA. Judge Edith Jones, in a cutting opinion on behalf of the majority, held that the DOL’s reinterpretation of the term “fiduciary” conflicted with the statutory text of ERISA, which itself is founded upon the common-law understanding of fiduciaries. “When enacting ERISA, Congress was well aware of the distinction,” Judge Jones held, “between investment advisers, who were considered fiduciaries, and stockbrokers and insurance agents, who generally assumed no such status in selling products to their clients. The Fiduciary Rule improperly dispenses with this distinction.” The Fifth Circuit also held that the DOL’s regulatory reinterpretation was not reasonable and therefore not entitled to Chevron deference, even assuming that ERISA’s definition of “fiduciary” is ambiguous. However, only two days earlier, on March 13, the Tenth Circuit upheld the DOL’s exclusion of indexed annuities from PTE 84-24, in Market Synergy Group, Inc. v. United States Department of Labor, et al., No. 17-3038. The Tenth Circuit’s decision, which affirmed the judgment of the Kansas federal district court, is here. As a result of these conflicting decisions, the future of the Fiduciary Rule is uncertain. While the Tenth and Fifth Circuit opinions create a circuit split inviting resolution by the Supreme Court, either decision could be reviewed en banc by their respective full courts. Contrary decisions in either case could cause the split to resolve itself before ever reaching the high court. Moreover, as the DOL continues its review of the Fiduciary Rule during the transition period, it may decide to revise certain aspects of the Fiduciary Rule or retreat from the rule altogether. DOL officials have already responded to the Fifth Circuit’s decision by saying that the DOL will not be enforcing the Fiduciary Rule pending further review. So while the Fifth Circuit’s decision is a significant development in the Fiduciary Rule debate, it undoubtedly will not be the final battle of this controversy, it now seems inevitable that the fate of the Fiduciary Rule will be decided by the Supreme Court.